The start of a WWII series from Iain Gale, author of Alamein. 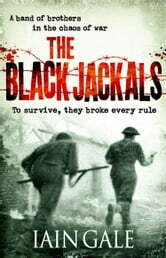 A masterly portrayal of World War Two heroism, with vivid action and stirring personal journeys. A small team of soldiers, left behind to cover the British retreat, are ordered to blow the bridge as late as possible to stem the German tank pursuit. Although successful, the operation kills desperate refugees fleeing the scene. Who will be made to face the court-martial: the men carrying out the orders or their commanding officer? This is only the first of many dilemmas that Peter Lamb and his troop must face during the chaotic first months of World War Two. After becoming cut off from the rest of their regiment, and assigned a mission that takes them deep into France behind the fast-moving enemy lines, the cracks begin to appear. In these unexpected, tense circumstances, Lamb's men face internal struggles, taking their focus off both their French allies and the German enemy. 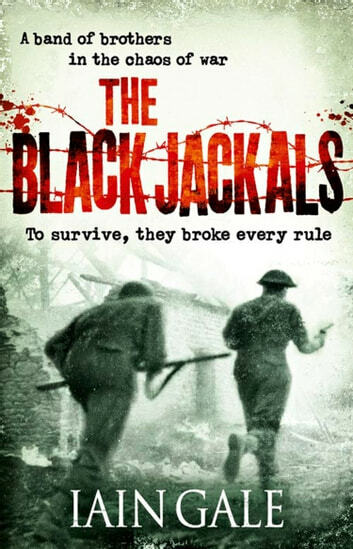 Black Jackals shows how men react to the challenges of war, and gives a fresh and fascinating picture of the frontlines.